You must be a member of the Stuttgart Italian Culture Group to attend this activity. Would you like to join this group? quà non ci sta nessuno"
The “red moon” says that nobody is waiting for you. Don't be so sad, she doesn't know that this is not absolutely true. The Italian Culture Group Consuls are waiting for you at the next “Aperitalk Italian” on Thursday 31th of January at Protected content . 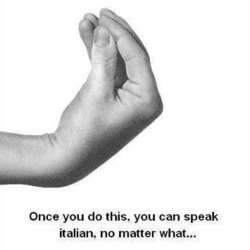 You don’t speak Italian?? Do be worried about that. Just join us to meet new people, make new friends, eat some good Italian food and drink the most traditional Spritz you can find in in the city.